Known affectionately by locals and Yachties alike as the Island Bar and linked to the resort by the marina jetty. 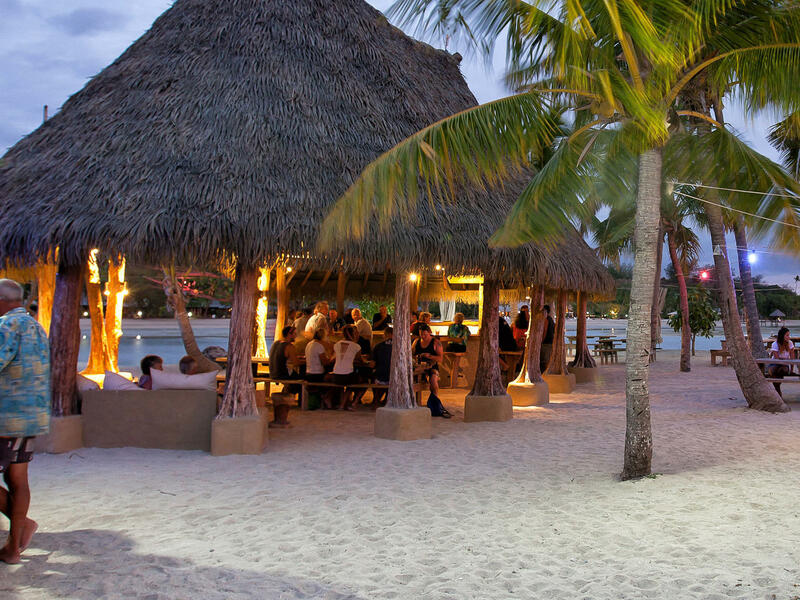 This iconic sand between the toes beach bar with casual atmosphere must not be missed. Drinks at yacht club prices and cook your own BBQs. This venue makes for a perfect informal evening’s entertainment. The Martin Livingstone designed bar and chill out areas has quickly become one of the South Pacifics legendary bars.